We welcome you on our green 3 stars campsite (8 hectares, 60 pitches, chalets and 2 equipped tents). 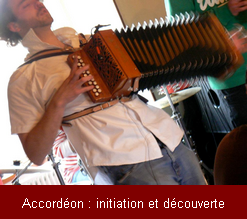 It's situated in the Burgundy, in the Nièvre, in the heart of the Parc Naturel Régional du Morvan. We have thought of everything in order to propose you a comfortable, calm and natural stay. In a rented accommodation (chalet or equipped tent). Holiday for the whole family: several play-grounds (one of which is securised) have been installed in order to enjoy your children. They can play on the swings and the trampoline, play ping-pong or invent histories and share big moments on the air castle with the other children of the campsite. 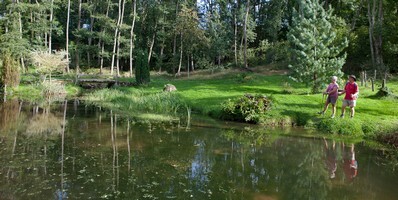 Then there is the Carpodrome where you can fish carps (no killing). In 2010 we have obtained the label "Plan d'eau Promopêche", fishing stay, which certifies the quality of the Carpodrome and the family stay. And don't forget that the Burgundy is famous for its wine. Thanks to our rich and varied touristic information, entirely at your disposal, you can organise your holiday as you wish. A multitude of marked rambles (also accessible for mountain bikes) start at the campsite and are accessible for the whole family. Cards for this rambles are at your disposal at the campsite. The campsite disposes of a little grocery. You can discover the local kitchen in our restaurant or enjoy an ice cream on the terrace with exceptional view on the campsite and the little valley. 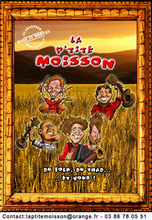 Our restaurant is labelled "Bistrot Parc" and, now and then, you can listen there to the traditional music from the Morvan during our theme evenings. 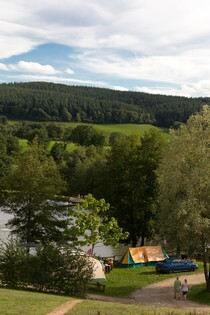 The campsite respects and protects the environment. Thanks to its ecological spirit it has been classified "Accueil Parc" by the Parc Naturel Régional du Morvan.